Generally my husband and I go out before the actual day of Valentine's Day, but we like to celebrate as a family with a special dinner the night of. 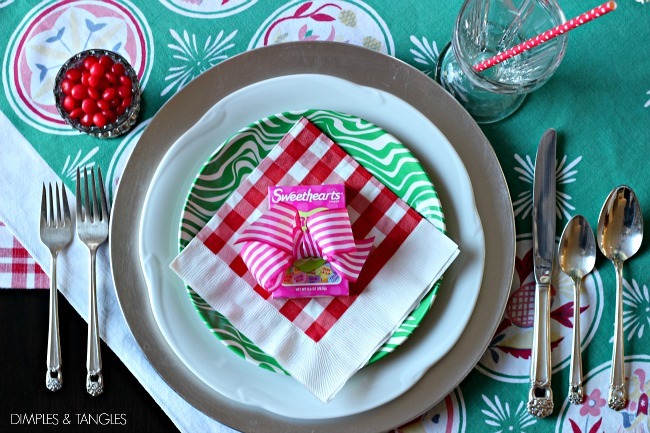 I set a festive yet simple table and we usually have a small gift for the kids. Several years ago we did a very small part in helping move my husband's Aunt out of her home when she could no longer live on her own. I am thrilled to have been able to pick out a few special treasures from her home, and this green vintage tablecloth was one of them. 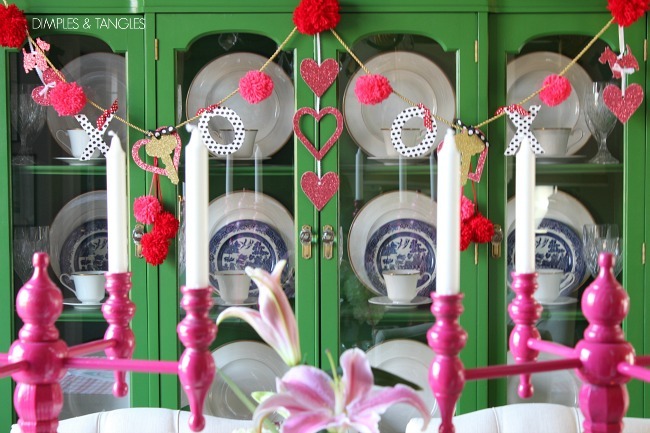 I've always loved the colors and the green, red, and pink mix fit right in with the color scheme that I apparently have for Valentine's Day this year. 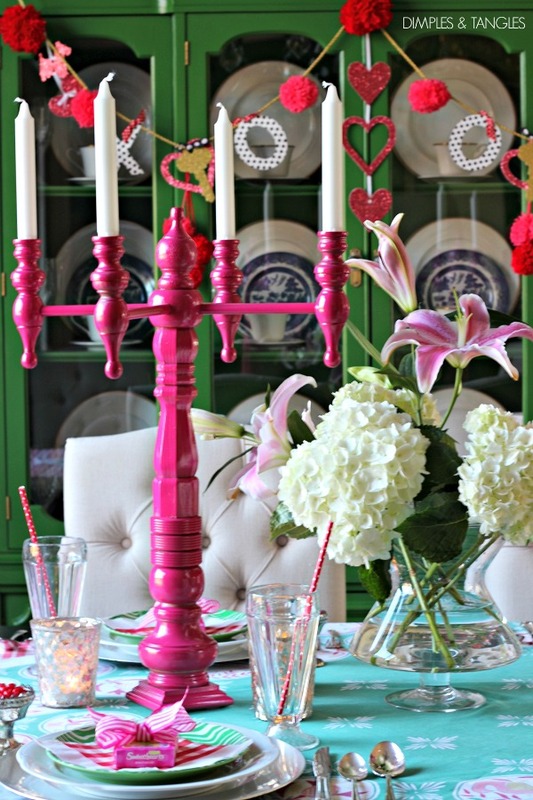 So, working around the tablecloth, I wanted there to be a vintage vibe to our Valentine Table this year. Although I love my gold, silver accents seemed to fit better with this table. To continue the vintage theme I used these old fashioned soda glasses for our drinking glasses, they're too cute to keep tucked away in a cabinet! One thing that my Mother-in-law got from her older sister was her set of silverplate flatware. She has since found another 8 place settings at an antique shop, so we always use it for special occasions and holidays at her house. I've always admired the pattern (William Rogers Eternally Yours) with it's sweet flowers on the tip of the handle and heart shaped cut-out. So, I was so excited to come across my own set of 8 place settings recently on Craigslist for a steal. 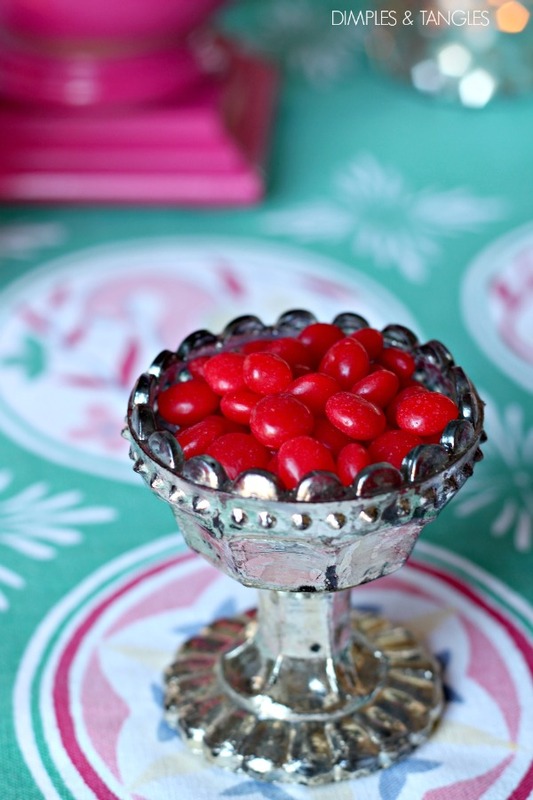 Along with the silver flatware and chargers, I used accents of mercury glass, with some cup candleholders in the center of the table as well as these tiny scalloped mercury glass pieces for treats. A garland that I made several years ago adds a festive touch to the china cabinet. Our kids will be at a youth event all weekend, and although I'm sure they'll be ready to crash Sunday night we'll still have our family dinner after church that evening. Hopefully they'll be full of fun stories to share! 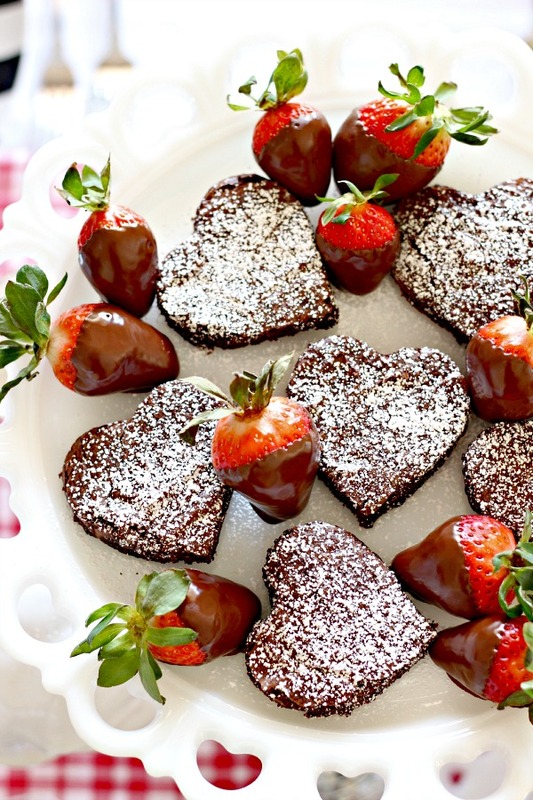 Need some ideas for something sweet to share on Valentine's Day? 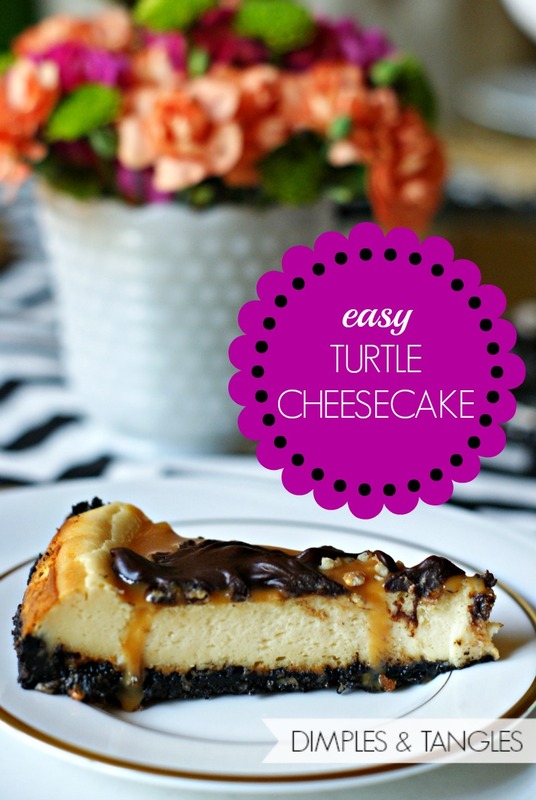 These recipes are both winners! I hope you all have the happiest Valentine's Day, and are able to share it with someone you love! *I let two big occasions totally slip by last Fall- my 4th(!) anniversary of blogging, and I topped 10,000 followers (now over 12K, yay!) on Instagram! To celebrate how much I LOVE having you all here, I have a giveaway going on over on my Instagram account that you might want to check out... just sayin'... it might be worth your while if you could use some extra $$$! 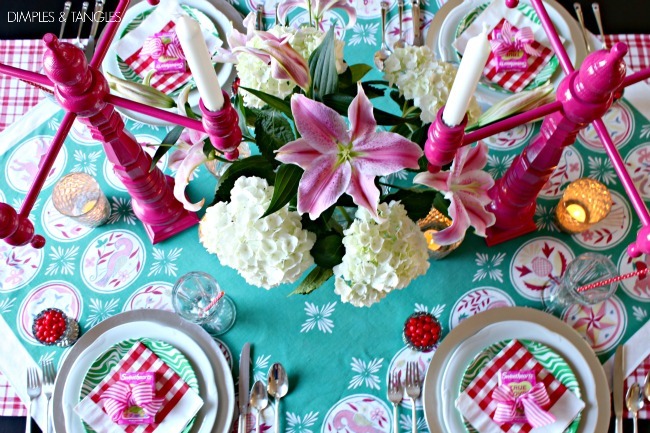 that tablecloth is phenomenal, as is the entire table! such a happy setting! So sweet Jennifer! Love the colors! So beautiful and special as always Jennifer! HAppy V day! What a beautiful tablecloth and its great that it has special meaning! 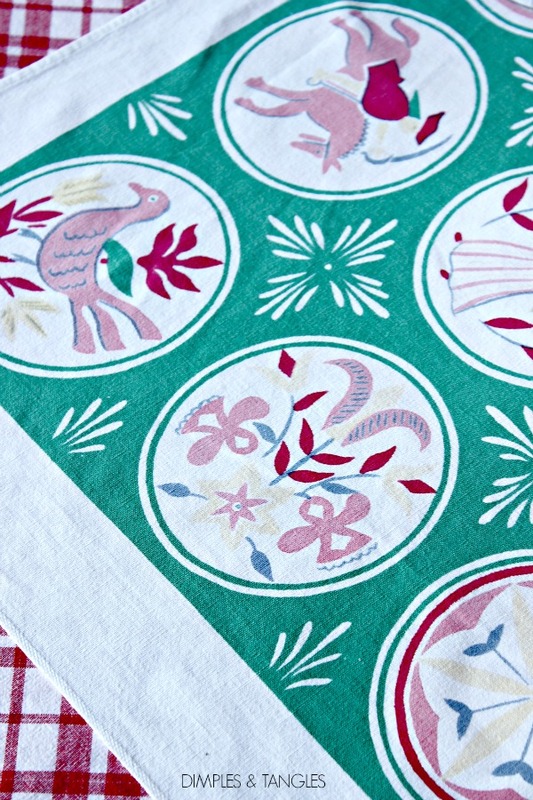 The tablecloth is beautiful and I'm sure the history of it contains many treasured memories. I love things like that! 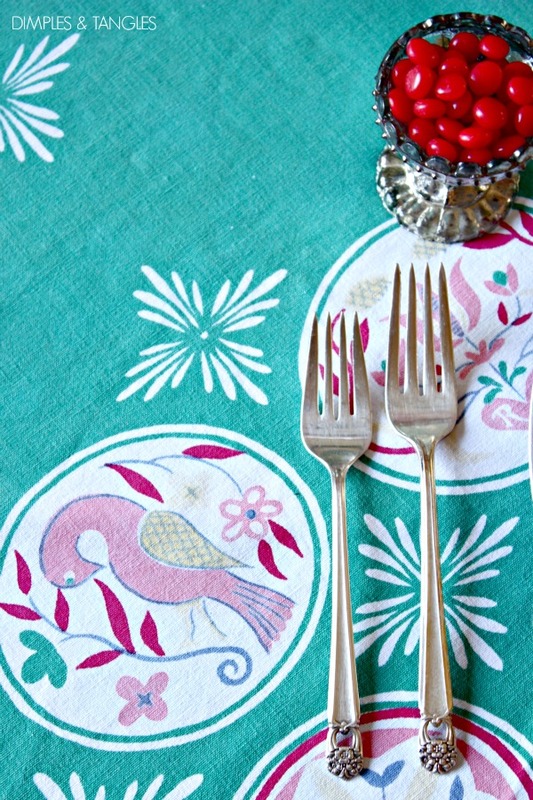 The table looks lovely and the flatware is so unique. 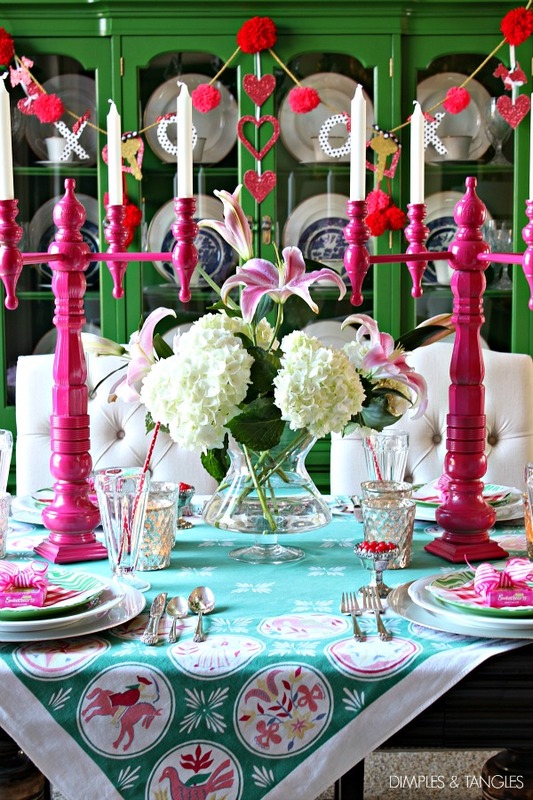 I do love the color of the Candelabra...do you mind sharing the name? This is so fun, Jennifer! 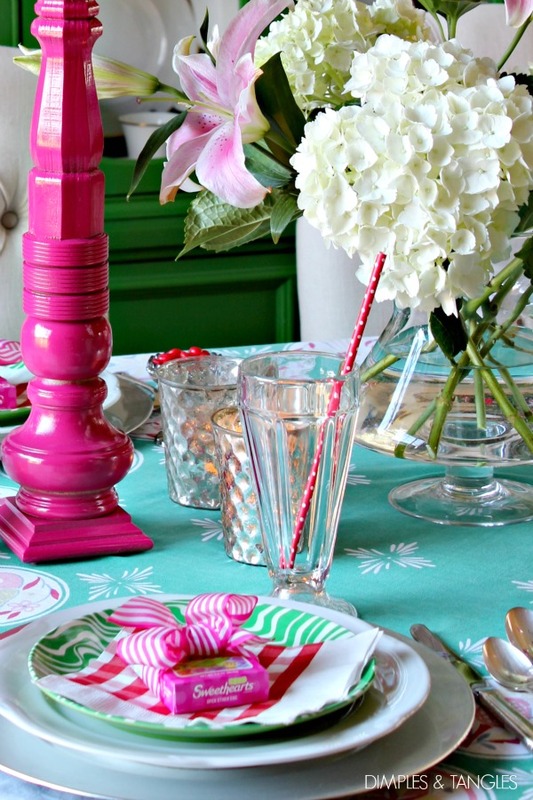 I love vintage tablecloths, and the pink and green is such a happy color combo. Happy Valentine's Day! 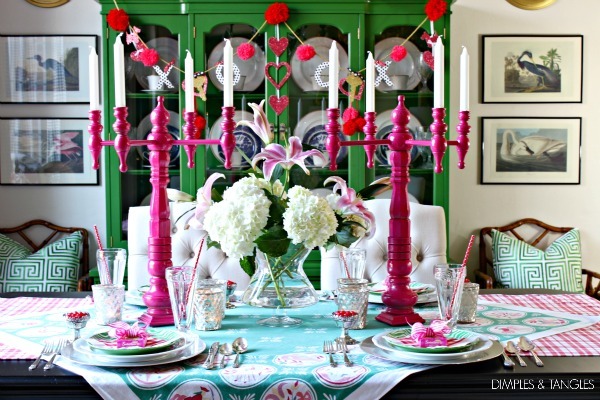 Your table is so pretty and festive.....Happy Valentine's Day!!!! Those candleholders - S W OO N!!!! The color and scale are FABULOUS!!! !